Feb. 15, 2013 - PRLog -- STAMFORD, Conn. -- For the past 13 years Pediatricians and other specialists have been Laughing Their Way to Passing the boards and can now enjoy more than just a book series. Medhumor Medical Publications, LLC founded by Dr. Stuart Silverstein, who in addition to being a pediatrician was a nationally known standup comedian, launched the series in 2000 after he realized there must be a more fun and exciting way to Take The Boredom Out Of Board Review®. Over the years the “Laughing your way to passing the Pediatric Boards” series has become top of the list of recommended pediatric board review books. Since then the titles have expanded to include books for medical students preparing for their USMLE exams, Neurology Residents preparing for the neurology boards and even a question answer book for neonatal fellows sitting for the Neonatology Boards, a sub-specialty of pediatrics. The new website has additional cutting edge features including: board review blog, integration with social media such as Twitter® and Facebook®, ways to access and sample board review books, and access free board review questions and answers. Medhumor Publications is currently working on an improved discussion forum as well as downloadable material, crucial for physicians preparing for their specialty board exams. The new website is aimed at building an active real time network between their readers and the staff of Medhumor Medical Publications while providing links to relevant articles and resources. Our goal remains the same, which is to “Take The Boredom Out of Board Review®” by providing user-friendly high-yield review books. 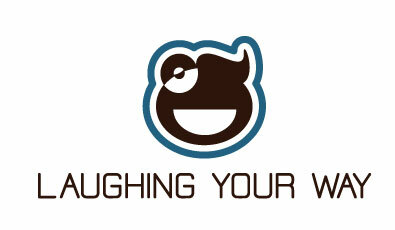 Now with the launching of our new website www.laughingyourway.com we can also do so online. About Medhumor Medical Publications: For the past 13 years we have been a leader in helping board candidates pass their board exams the FIRST TIME and are the only book series that "takes the boredom out of board review".